The hands of time are moving quicker, the sands in the hourglass falling at an alarming rate….Yes, it is that special juncture in the Major League Baseball season when the days finally fall towards single digit working towards the July 31st M L B Non-Waiver Trade Deadline that the anxiety and impatience leads to lopsided deals. The unpredictability of this entire trade charade keeps all of us wondering until the final period is typed on that Press Release, or the official “Approval” stamp slams upon the trade document in the New York M L B offices in Manhattan. 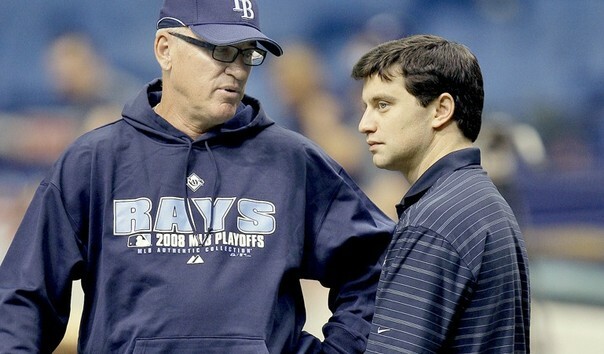 You can never be sure just what is actually going on, especially within the Tampa Bay Rays camp. I swear to anything and everything holy that the Rays conduct a stealth boot camp ever season to prepare for just these final fleeting moments. The Rays organization has effectively mastered the art of the Samurai “air of silence”. 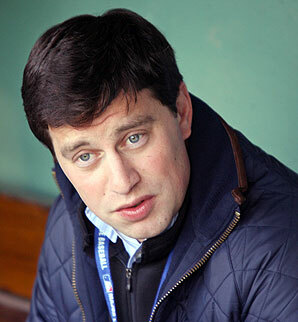 Still, I would think if you are a MLB GM, you kind of even a courtesy call by Rays Vice President of Baseball Operations Andrew Friedman a call to action. How effective has he been on trimming and honing this Rays roster and farm system towards the Rays lean and mean standards? Heck, I consider our farm system to be the “Minka Kelly” of farm systems. Red hot top prospects with a side order of 3,000 hits. Friedman has taken a system that was not in shambles but uncoordinated at times and turned it into a fine tuned concerto. When was the last time you heard about a Rays trade before the rest of the baseball World knew about it? Still think each Rays desk has a cyanide capsule or dome of silence to keep idle chatter from hitting the mainstream. Kind of proud of that fact actually. It is so easy for one tongue to wag and then the World hears the vibrations. Take 2010 for example. If you would have told me the Rays would trade with the Arizona Diamondbacks in the last days before the Trade Deadline for RP Chad Qualls, I would have reserved you an ample living quarters in the fluffy padded room at Windemere. Somehow this deal got sign, sealed and delivered without fanfare, media knowledge or even a single cricket chirping before its announcement. Sure the trade was about eliminating a pricey Bullpen piece while the Rays added another veteran, even if it was a higher than normal risk for the Rays. That is what is so intriguing about this time of the baseball season. Sometimes I wish I could be that “fly on the wall” just to see the process. Get to understand the Rays parameters and guides to the deal….Heck, we could market it and sell at least 100 copies to just baseball top tier guys. Seriously, if the Rays could bottle their trade success and finesse, it would be award winning. Even if the Rays go into pure “buying” mode, you could see them still effectively shift a few attractive assets towards another roster while stockpiling more potential trade bait and appetizers for another day. In a “buyer’s” mode the Rays could still bring in a few future commodities that will eventually mature and provide stability and increased productivity. I know it sounds a lot like I am reciting a insurance binder, but the reality is the Trade deadline is about insurance. 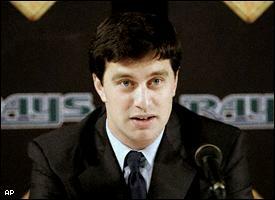 No matter if you are in “Buyer” or “Seller” mode, you want to assure your top tier management figures, your roster and farm system, plus your fan base that a move of this caliber at this time of the season will reap benefits towards your team’s goals, or help reduce future overhead limitations like a heavy salary so the Rays would have the cha-ching to go get that valued replacement part. The art of the deal is a highly skilled and honed system that should bring results. You do not have to be a car salesman to get a great bargain this time of the year. Dangle a pitcher who is having a breakout season, finally burst through the wall of productivity or has a attractive present or future salary structure and you just have to sit back and take the phone calls. 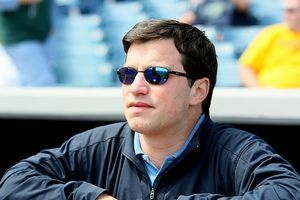 Mix a great potential deal with the likes of Rays Vice President of Baseball Operations Andrew Friedman with his senior counsel of Gerry Hunsicker, and these two could take an average deal and make it shine for years. All you have to do is look at the Rays and Chicago Cubs deal for emotional roller coaster Matt Garza. 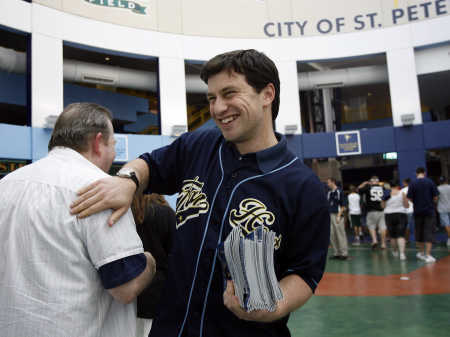 Sure the Cubs got a guy who potential is as tall as the Sears Tower, but in my opinion, Friedman got a King’s ransom in return. One of the pieces of this puzzle that was sent to Chi-town, OF Fernando Perez has already been released and is on another team’s roster. In return the Rays got a new urban and M L B “Legend” ( Sam Fuld), an outfielder (Brandon Guyer) previously not in the Rays 2011 major league roster framework who made Fantasy owners giddy with his first game stats (10 points). Add to that mix a shortstop who is only playing at the Class-A level, but who scouts and baseball gurus have gushed and gone all flustered with that has risen up the prospect charts like a rocket (Hak-Ju Lee). Suddenly it seems like Friedman and Hunsicker sold Garza when his talent and potential both reached their ceiling. Wondering if the same magic will fall in the Rays hands before the final seconds of the 2011 Trade Deadline. Will it be a monster player haul, a salary dump or even the Rays taking on a player in their “ walk” season who could help them waltz into the post season. Still think the biggest horror I would face if I were to ever become a M L B GM is hearing Friedman’s voice on the other end of the phone……Hopefully it will be a congratulation call, not a trademark Friedman “kick the tires” conversation….Those have ended badly lately.